There is food which some people might call “Chinese food” and then there’s actual Chinese food. Sweet ‘n sour pork, Chicken chop suey, General Tsao’s Chicken, chow “mein”, all with the same dubious orange sauce…this is unfortunately the perception of what Chinese food is and what the majority of Asian establishments serve to a clientele that mostly doesn’t know any better. Sushi is Japanese, pad thai comes from Thailand and fortune cookies came from California (we actually prefer fruit for dessert). A lot of these dishes have been introduced (or the ingredients changed) to satisfy foreign palates, steering away from authentic Chinese food. The bottom line is that this isn’t the food you find in China, and it definitely isn’t the food you’ll find at our restaurant. We serve authentic Chinese dishes and we make all of them from scratch in our kitchen. 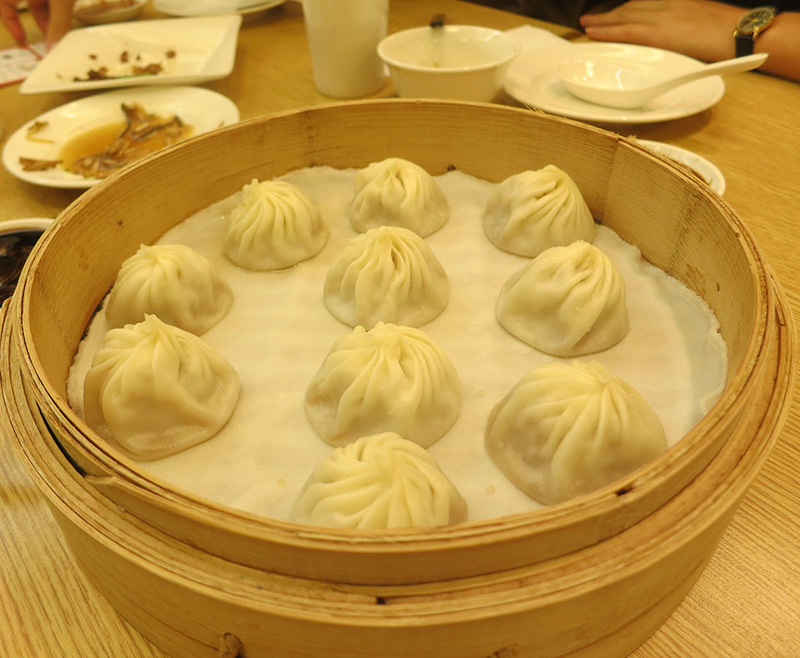 There’s xiaolongbao: also known as steamed soup dumplings (小籠包 – literally “small steamed basket wraps”), which is a northeastern delicacy and a very popular choice. We also have boiled and fried dumplings (pot stickers) in the regular and vegetarian variety. Some might like our Sichuanese dishes such as Mapo Tofu and Shui Zi Niu, others might like the eggplant, vegetarian options or some of the lovely teas to match the dishes. Since we know that things can be a bit overwhelming, we’ve got pictures and prices of everything on the wall for your convenience. We should also mention that restaurants in China don’t focus on the decor, furnishings and service, but more on the food. Same goes for our place. And be patient with Ma’s English (also not widely found in restaurants in China).